In the trucking industry, as with many others, change is inevitable. New regulations and advancements in technology both have effects on the ways in which drivers can do their jobs. Remaining flexible and adaptable are necessary to keep up with the ever-changing industry. As a trucker, adapt to these advancements so you won’t lose your stride on the road. Whether you’re a seasoned veteran or new to the industry, you’ve become familiar with certain regulations and practices that help you complete your job. When change does happen, the best attitude to have is to embrace thee changes. They aren’t just good for the industry but adapting will also help you do your job more efficiently. In addition, use these advancements as an opportunity to advance your career. If you find a new and emerging segment of the industry to be particularly enticing, learn all about it and take the necessary steps to get the most out of it. It’s important to keep up with the ever-changing news of the trucking industry. Especially when it comes to technology, staying current will make adapting to these changes much more seamless. Stay current with trade magazines, attend seminars, and read industry-related blogs so that you’re always aware of what has taken place and what’s coming in the future. It’s also great advice to rely on your trucking community. Have conversations with other drivers about everyone’s concerns and trade tips for how best to navigate the advancements. 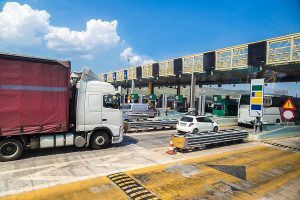 This year saw new regulations put into place that changed the landscape of the trucking industry. New electronic logging devices have helped both drivers and companies keep track of driving hours in a more efficient manner. There were also discussions pertaining to hours of service, the use of MC numbers, speed limiters for trucks weighing over 13 tons, and new rules concerning overtime pay. This entry was posted on Friday, September 15th, 2017	at 1:19 pm	and is filed under Trucking Lifestyle	. You can follow any responses to this entry through the RSS 2.0	feed. Both comments and pings are currently closed.